Being resourceful is definitely a virtue these days, and sharing your craftiness with others is perhaps the best way to sprinkle the seeds of good design. 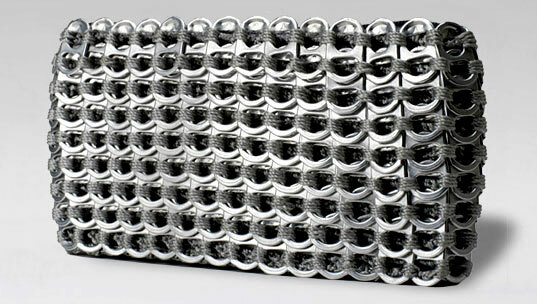 But an eco chic accessory that is crafted from 100% recycled materials while also promoting fair trade employment? Well, this is a brilliant scenario for advancing sustainable style while also reducing needless waste and litter. 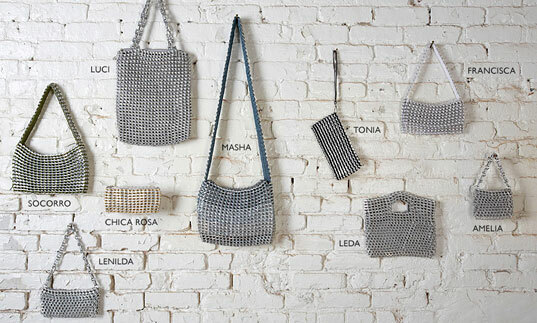 There are a variety of cool recycled pull-tab accessory projects circulating the web these days, but Escama purses are unique in their impeccably crocheted fabrication and slinky, chic feel. 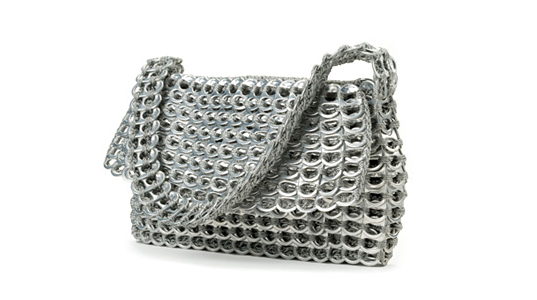 The word “Escama” means fish scales in Portuguese, and these artfully designed soft chain-mail purses are as eye-catching as they are durable. 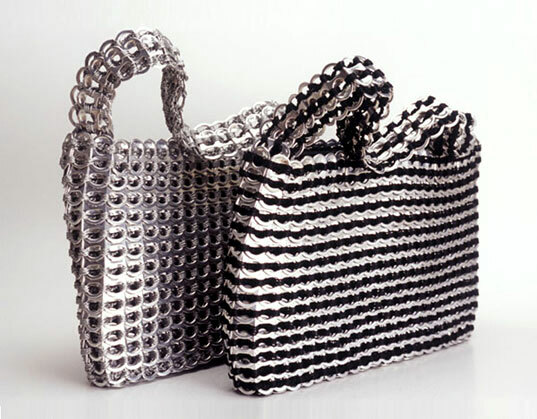 The recycled aluminum pull-tabs from soda cans are individually crocheted and stitched by local artists who make the bags in two craft cooperatives in ’satellite cities’ of Brasília, Brazil. 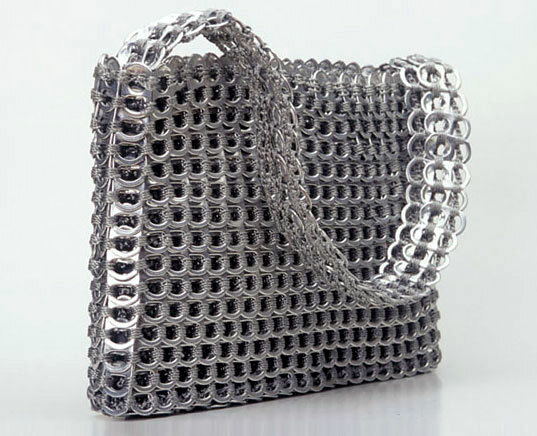 The cooperatives offer women a means to earn money through handicrafts and business training. Prices of goods are set by the artisan cooperatives and trained artists are paid competitively for their one-of-a-kind craftwork. 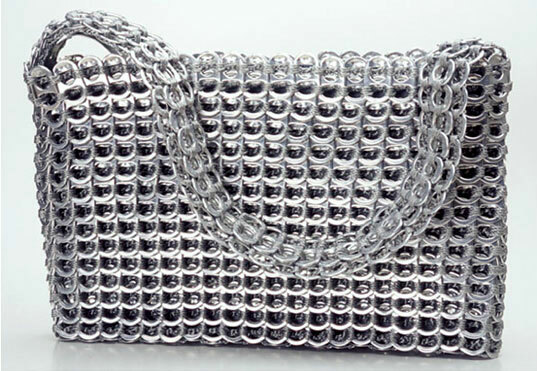 There were originally only 12 artisans producing bags for Escama in 2004, and currently there are over 100. Escama abides by fair trade principles as a member of the Fair Trade Federation (FTF) and offers a fair living wage for their products. In addition, over the past four years they have assisted the artist groups to establish bank accounts and have generously donated computers, furniture, educational training and a percentage of sales. Each Escama bag is handcrafted by an individual artist and comes with a personal note from the woman who made it, connecting consumer and producer through a shared exchange. 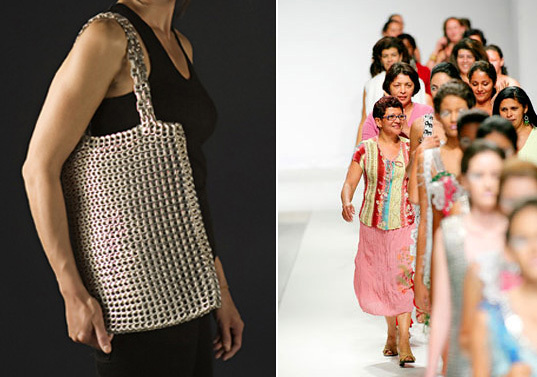 We could think of no better way to highlight the best of sustainable style than by featuring these exquisitely and ethically produced accessories for fashion forward women in all hemispheres.